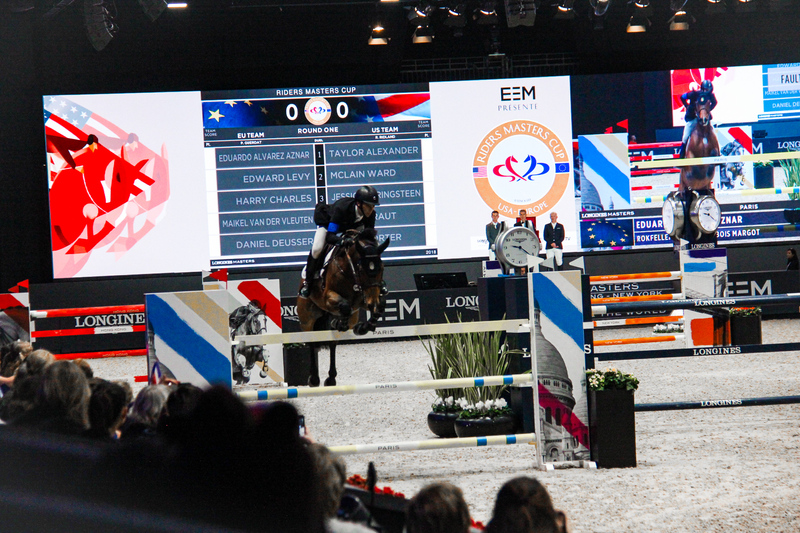 On Saturday, December 1st, 2018, the European equestrian team once again dominated the United States team at the annual Longines Masters of Paris in the mythical arena of the Longines Masters. 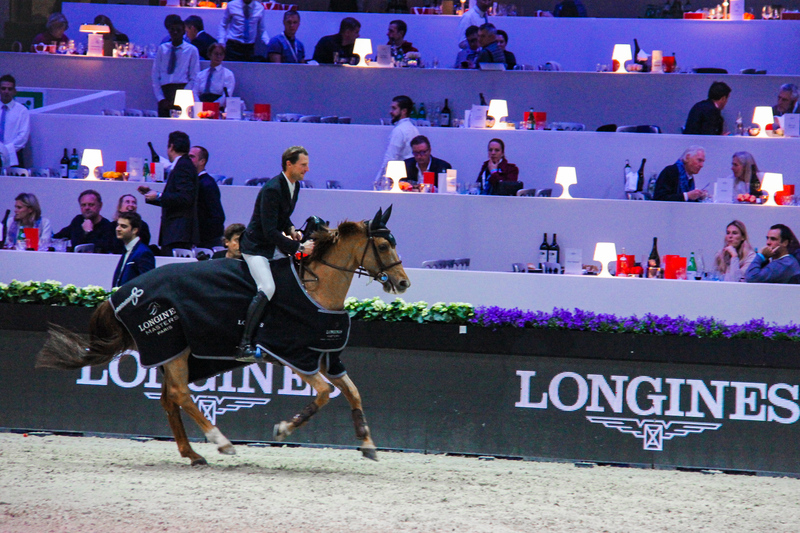 The team won the two key events of the evening: the Masters One CENECA (Centre National des Expositions et Concours Agricoles), followed by the Longines Riders Masters Cup. Their prize consisted of €200,000 in cash. 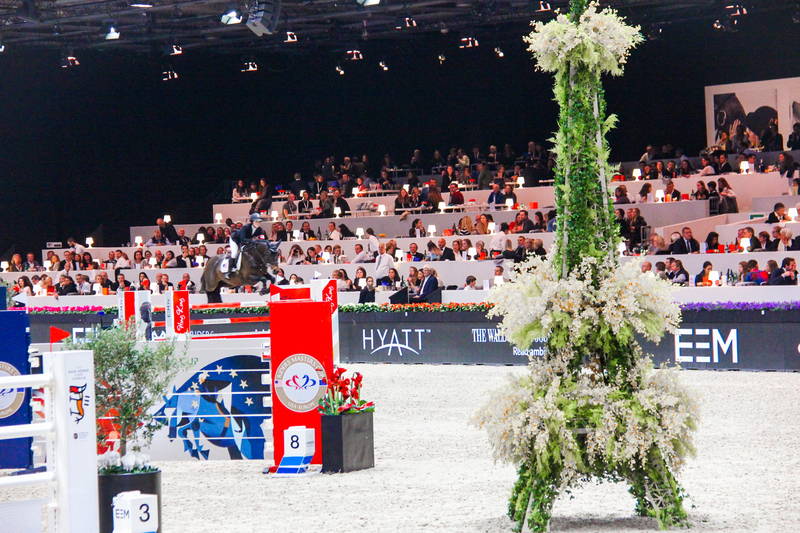 The Parisian public couldn't get enough of the French rider Kevin Staut and horse Ayade de Septon*HDC as they triumphed in the first event of the evening, the Masters One CENECA. Out of 36 starters who competed in the 1.5 meter Masters, only 10 qualified for the second round, the jump off. Staut & Ayade conquered the crème de la crème of international riders with a clear round in only 43.54 seconds. As the public chanted "Kevin! Kevin! ", the 38-year-old Olympic gold medalist took home a €16,335 cash prize. Following the Masters One CENECA, the Longines Riders Masters Cup the Riders Europe team won a third Riders Masters Cup. 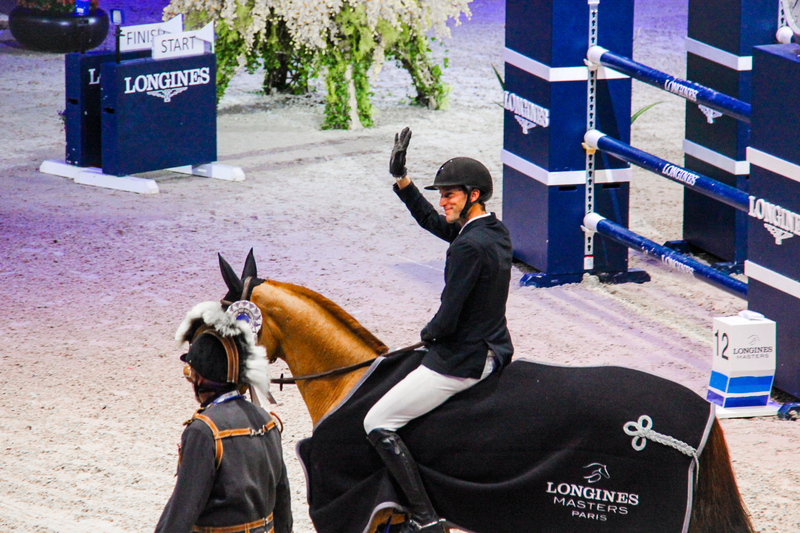 After an introductory speech by the legendary former Olympic champion Pierre Durant, who saluted both the AUP students and riders during his speech, the Riders Europe Team dominated the first half of the event with four wins in the duels. But the Riders U.S.A. team was still in the running, thanks to Jessica Springsteen & RMF Chacco Top's win against English rider Harry Charles & Victor. First to choose the starters list for the second half of the competition, the European coach, Philippe Guerdat, put Dutch 2014 world champion Maikel Van Der Vleuten against American 2018 world champion Laura Kraut. Kraut and her horse Curious George were 0.016 seconds faster than Van Der Vleuten and her horse Idi Utopia, bringing back the Riders USA team to 50 points against Riders Europe's 55 points. The second duel, confronting American Lucas Porter with Diamonte Darco and Harry Charles with Victor, changed the advantage for the USA team (70-65) as Porter and Diamonte Darco beat Charles and Victor by 0.01 seconds. But Spanish rider Eduardo Alvarez Aznar with Rokfeller of Pleville Bois Margot and French rider Edward Lewy with Rebeca LS saved the European team and gave them a decisive advantage against the USA team, after a win of 0.016 seconds over Jessica Springsteen. The Riders Europe won their third Riders Masters Cup in a row this year with a score of 105 points to 90, before the eyes of a captivated crowd who waived their flags frenetically.